Was formed in 1981 under the leadership of Jacek Urbaniak and Krzysztof Owczynik (from 2012). Ars Nova specialises in performing European music of from 13th to 16th centuries and is one of leading ensembles of this kind in Poland. The ensemble has performed in the most important concert halls both in Poland and abroad (including, among others, festivals in Utrecht, Glasgow, Moscow, Budapest, Paris, Dresden, Berlin, Sweden, Belarus and Lithuania). Ars Nova has recorded its repertoire for Polish Radio (including Adam de la Halle, Cantigas, Minesingers, Machaut, Ciconia, The Manuscript of Jan of Jasienna, Polish Passion Songs and contemporary music written for historical instruments). It has also recorded its. music for TV (film music, ballet music, educational programmes). The ensemble has also released numerous CD-records (Music of the Court of the Jagiellons, Petrus of Grudziądz, El Llibre Vermell, Nicolaus of Radom, Music at the Wawel Castle 15th-16th c., Songs of the Kurpie Region, The Psalms of Gomóka) as well as cassettes (Cantigas, Songs of Krzysztof Klabon, Dances of the Tabulature of Johannes of Lublin). 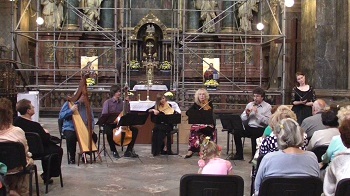 Ars Nova has also taken part in theatrical performances (Songs of Pilgrms, Old-Polish Passion Songs, The Renaissance Ball, the Psalter of David, Varsaviana) during which they co-operated with Poland's most prominent actors in an attempt to combine the art of sound with words, movement an picture. 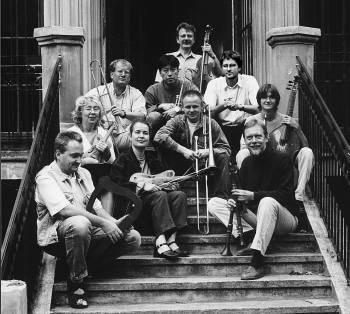 The ensemble received, for its records - the Fryderyk award - a prestigious award for achievements in music.